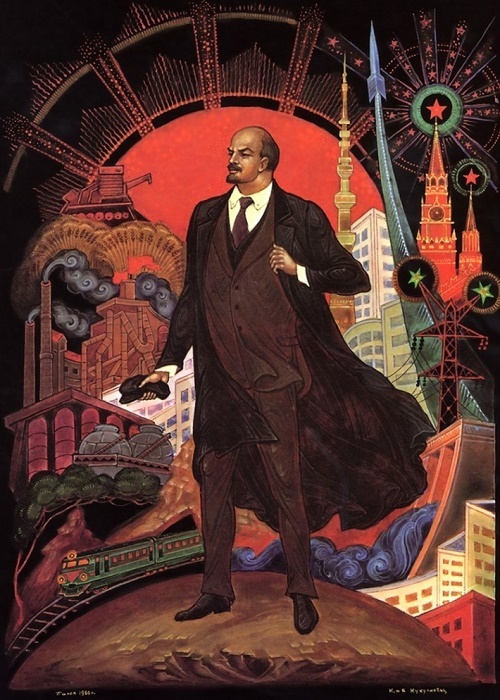 In the panel “Wind of Revolution” symbols are already in the title. 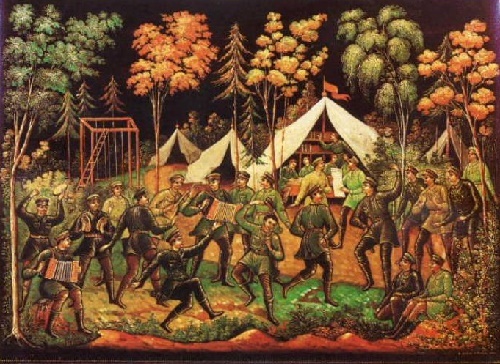 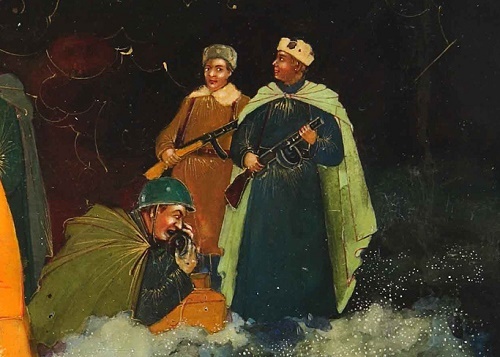 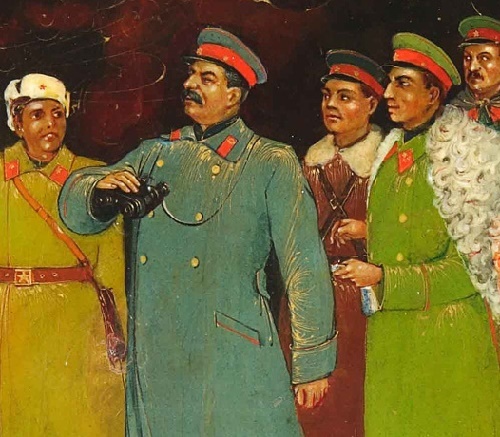 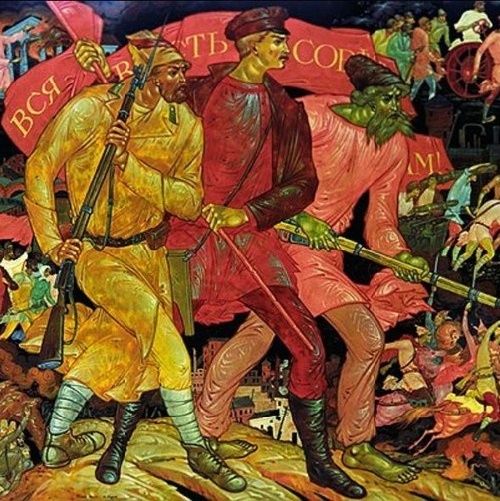 Its figurative embodiment – the central figures of a Soldier, Worker and Peasant, and dramatically different scale figures in the scenes about the different stages of the revolutionary struggle. 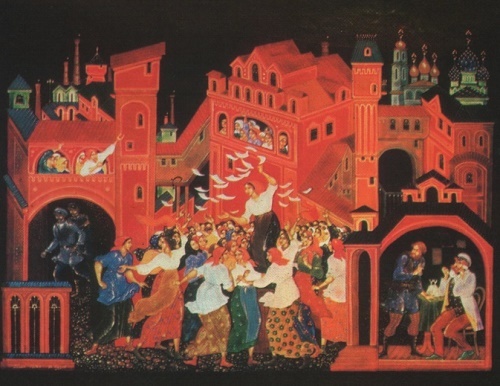 The dynamic pattern, vigor movements of characters, generalized color, built on the hot shades of red and golden ocher, give special expressiveness to the composition. 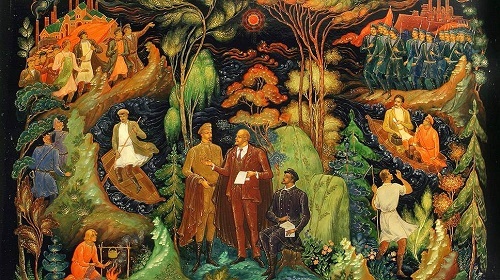 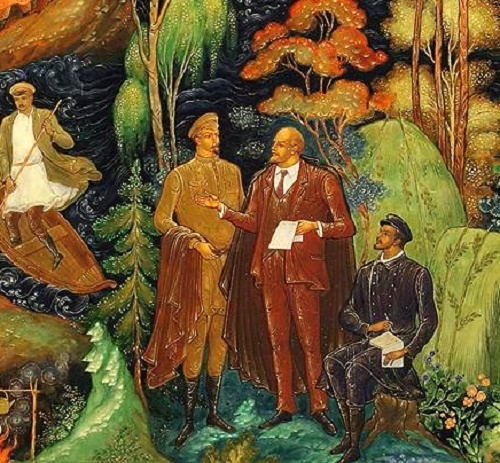 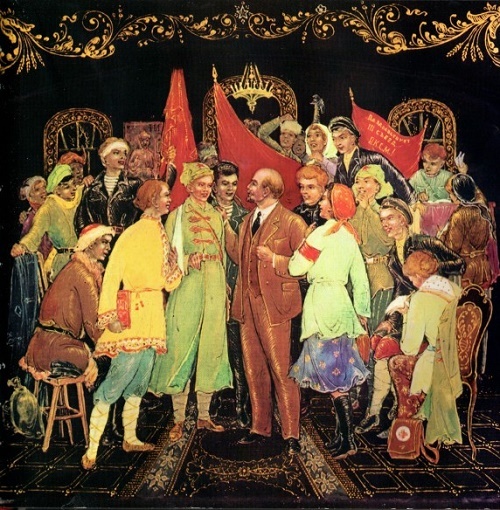 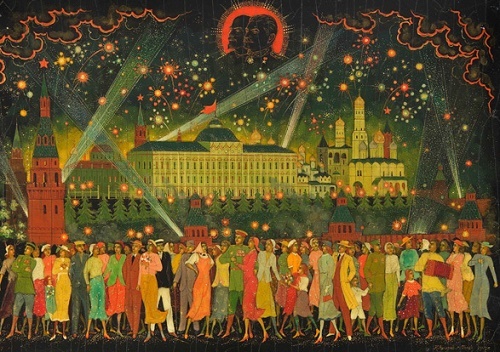 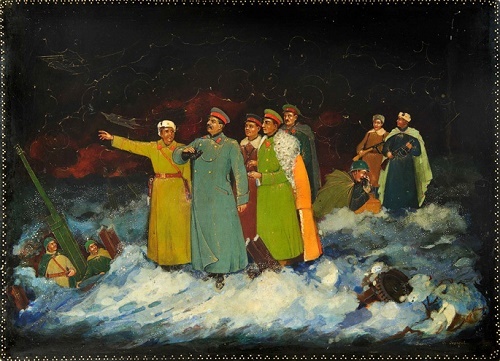 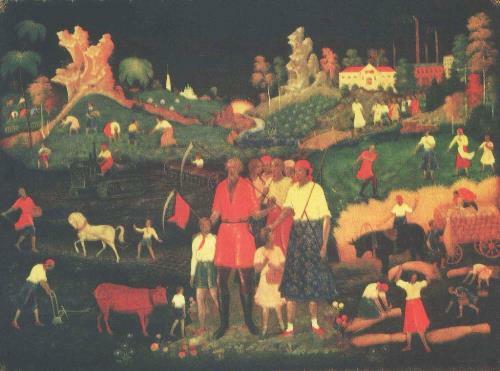 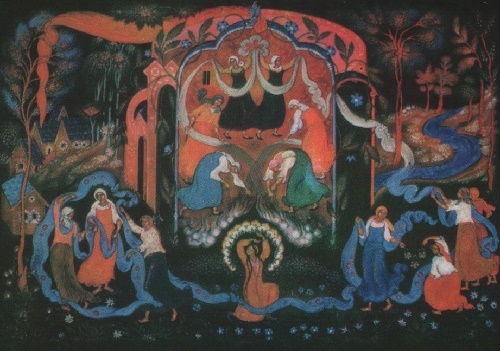 Soviet Palekh art, where socialist realism bizarrely mixed with the iconography tradition, was born after the victory of the Great October Revolution, in the early 1920s. 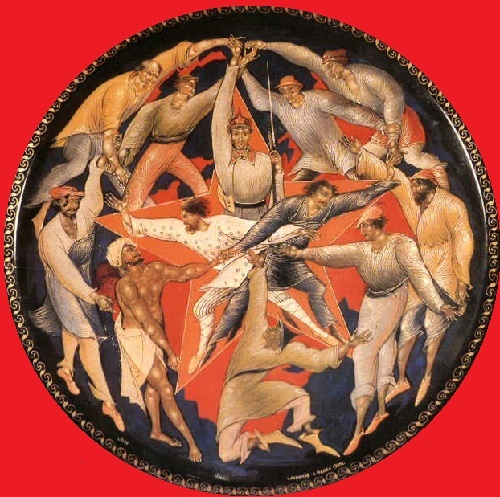 Great artists, former masters of iconography created it. 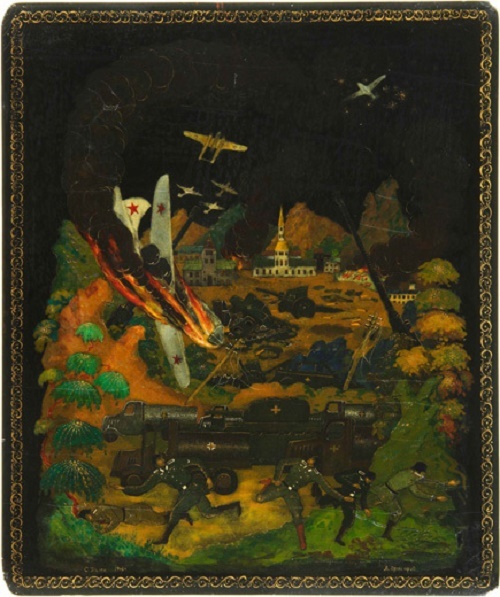 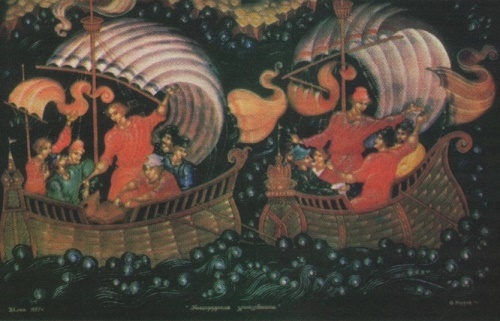 The miniature painting on black-lacquered boxes made of papier-mache, in the technique and methods of ancient Russian painting, carefully maintaining its high poetic structure. 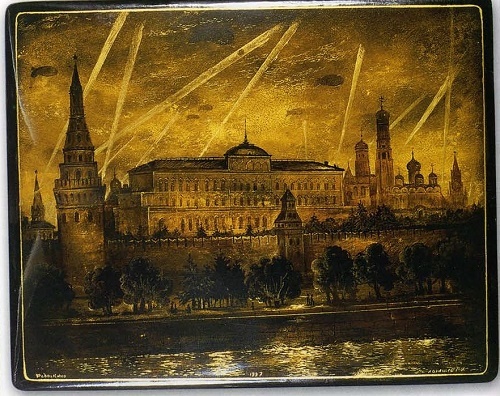 It turned out the old plastic arts, fine, accurate drawing, emotional expressiveness of color, the very technique give enormous opportunities to reflect the events of the day. 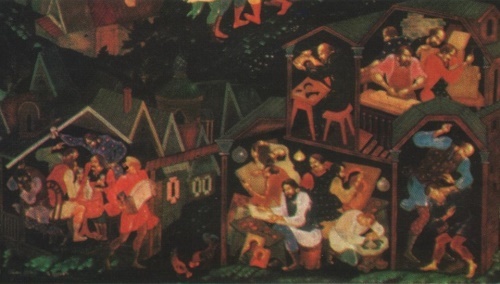 Pioneers of Soviet Palekh laid the basic principles of miniature painting, later developed by more than one generation of masters. 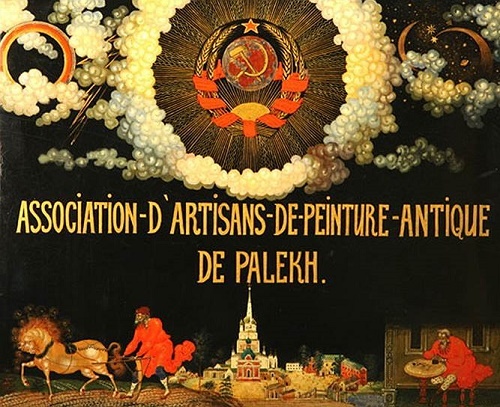 Among these masters – Valentin Khodov, Gennady Kochetov, and Alexander Klipov – winners of the Lenin Komsomol Prize (1973) for the product, developing the best traditions of folk art. 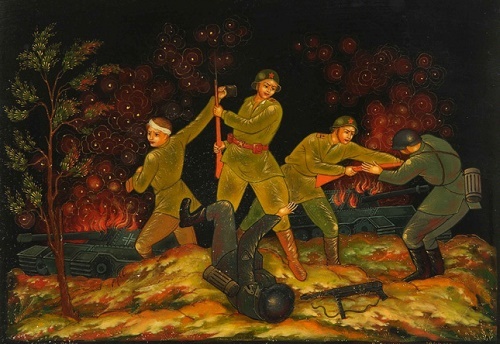 Creativity of this young generation of artists – an example of a thoughtful study of the heritage of ancient art and traditional folk art of the old masters of Palekh and achievements of all Soviet art.